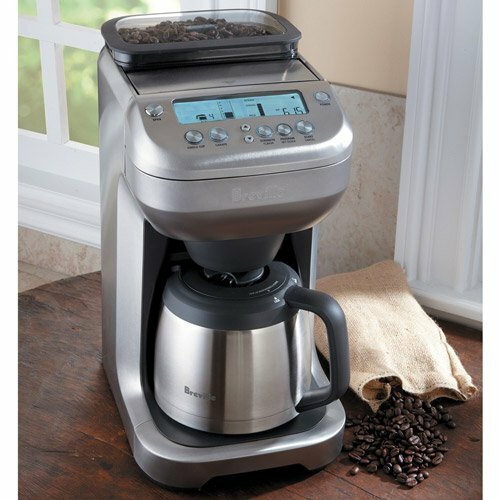 The Breville BDC600XL YouBrew Drip Coffee Maker is the master of coffee makers and arguably one of the best home drip coffee makers on the market. A combination of modern technology and high quality parts makes this one of the most durable and convenient coffee makers available. The Breville BDC600XL takes the whole process of brewing a batch of coffee and turned into into a scientific project. From start to finish, excellence is what the Breville BDC600XL focuses on. Absolutely ideal for coffee aficionados who know what they want and how that is supposed to taste. There are many things that differentiate the Breville BDC600XL from regular coffee makers but one of the biggest is its built in bean grinder. The aroma of the coffee beans is best when the beans have just been ground and weakens over time, a built in grinder maximizes your coffee flavor. The grinder is a burr grinder which is recognized as the best type of grinder for your coffee beans. The whole brewing process is also personalized so that you can customize your coffee to taste just how you want it. You can customize the steeping time of the ground beans which allows you to control flavor and you can customize the amount of beans used which affects the strength of the coffee. With the Breville BDC600XL you can choose exactly how much coffee you want to brew, even just one cup, and it will automatically adjust the amount of water it uses. Another major advantage of the Breville BDC600XL in comparison to other coffee makers is it’s featured thermal carafe. A thermal carafe is a much more efficient way of keeping your coffee hot for hours. Normal coffee makers use heating plates which will ruin the taste of your coffee in an hour. Thermal carafes are perfect when you have guests over or are enjoying a long morning and have time for that second or third cup. 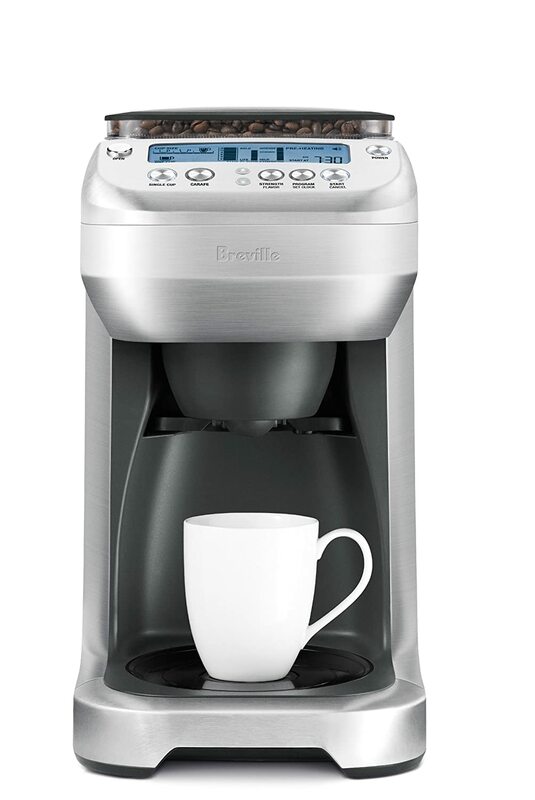 The carafe featured in the Breville BDC600XL can hold 12 cups of coffee. Moreover, the Breville BDC600XL is highly functional in terms of modern functions and features. The back lit LCD screen helps you navigate all the features and displays the current brewing cycle, a countdown for your brew, how much water is in the reservoir, notifies you for cleaning and lastly also shows the time. Use this LCD screen to program a start time for your Breville BDC600XL so that the coffee is fresh and ready when you wake up, it also turns off automatically. Another cool feature is the brew pause function which stops the brewing momentarily, allowing you to sneak a quick cup.